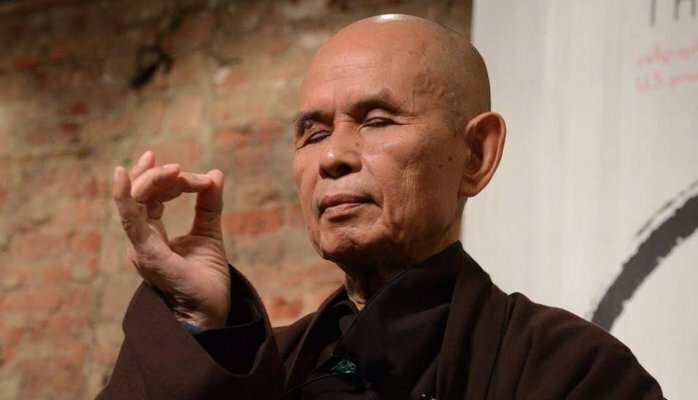 The Sutra on the Eight Realizations is one of the most important of the Pali Suttas as “it contains eleven essential subjects for meditation,” writes the most Venerable Master Thich Nhat Hanh in a commentary on the Sutra. Awareness of the suffering of others — and the great vow to help others to attain release and joy. 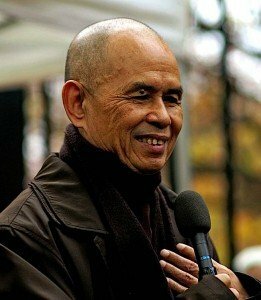 Great Zen Teacher Thich Nhat Hanh, known around the world as a peace activist and a teacher. This sutra was translated from Pali to Chinese by the Parthian monk, An Shih Kao (Vietnamese: An The Cao), at the Lo Yang Center in China during the later Han Dynasty, 140-171 A.D. It is not certain if the Pali version is extant. The ancient form of this sutra is the culmination of several smaller works combined, just like the Forty-two Chapters Sutra and the Sutra on the Six Paramitas. This sutra is entirely in accord with both the Mahayana and Theravada traditions. Each of the eight items discussed can be a subject of meditation, and each of these subjects can be further divided. Although the form of the sutra is simple, its content is extremely profound and marvelous. The Sutra on the Eight Realizations of the Great Beings is not an analysis of anything. It is a realistic and effective approach to meditation. The Sutra on the Eight Realizations of the Great Beings contains eleven essential subjects for meditation. I will discuss these subjects along with the eight realizations. 1. The first realization explains and clarifies the four basic subjects of Buddhist meditation: (a) impermanence, (b) suffering, (c) no-self, and (d) impurity. We must always remember and meditate on these four principles of reality. As mentioned in the sutra, if someone meditates on these facts, he or she will gradually be released from samsára, the round of birth and death. a. Impermanence – the impermanent nature of all things: From moment to moment, all things in this world, including human life, mountains and rivers, and political systems, are in constant transformation. This is called impermanence in each moment. Everything passes through a period of birth, maturity, transformation, and destruction. This destruction is called impermanence in each cycle. To see the impermanent nature of all things, we must examine this closely. Doing so will prevent us from being imprisoned by the things of this world. b. Suffering – the emptiness of all things: The ancient people of India said that all things are composed of four elements: earth, air, water, and fire. Acknowledging this, Buddhas and Bodhisattvas understand that when there is a harmonious relationship among the four elements, there is peace. When the four elements are not in harmony, there is suffering. Because all things are created by a combination of these elements, nothing can exist independently or permanently. All things are impermanent. Consequently, when we are caught up in the things of the world, we suffer from their impermanent nature. And since all things are empty, when we are caught by things, we also suffer from their emptiness. Awareness of the existence of suffering leads us to begin to practice the way of realization. This is the first of the Four Noble Truths.8 When we lose awareness of and do not meditate on the existence of suffering in all things, we can easily be pushed around by passions and desires for worldly things, increasingly destroying our lives in the pursuit of these desires. Only by being aware of suffering can we find its cause, confront it directly, and eliminate it. c. Selflessness – the nature of our bodies: Buddhism teaches that human beings are composed of five aggregates, called skandhas in Sanskrit. If the form created by the four elements is empty and without self, then human beings, created by the unification of the five skandhas, must also be empty and without self. Human beings are involved in a transformation process from second to second, minute to minute, and continually pass through the impermanence in each moment. By looking very deeply into the five skandhas, we can experience the selfless nature of our bodies, our passage through birth and death, and emptiness. Thereby destroying the illusion that our bodies are permanent. In Buddhism, no self is the most important subject for meditation. By meditating on no self, we can break through the barrier between self and other. Since we are no longer separate from the universe, a completely harmonious existence with the universe is created. We see that all other human beings exist in us and that we exist in all other human beings. We see that the past and the future are contained in the present moment, and we can penetrate and be completely liberated from the cycle of birth and death. Modern science has also discovered the truth of the selfless nature of all things. In the following paragraph written by the British biologist Lyall Watson, we can see the truth of no self through the eyes of a scientist. Lyall Watson is not a student of Buddhism, but his approach corresponds entirely with the principles of dependent origination and no self. Scientists, who meditate continuously on the selfless nature of their own bodies and minds, as well as the selfless nature of all things, will one day easily attain enlightenment. 2. “More desire brings more suffering” is the basis of the second realization. Most people define happiness as the satisfaction of all desires. There are five types of desire. (9) These desires are boundless but our ability to realize them is not, and unfulfilled desires always create suffering. When desires are only partially fulfilled, we continue to pursue their complete fulfillment, and we create more suffering. Even when a desire is fulfilled, we suffer when its fulfillment terminates. It is only after we become completely exhausted from this incessant pursuit that we begin to realize the extent to which we were caught in the insatiable net of desires and passions. Then we can realize that true happiness is really a peaceful state of body and mind, and this can only exist when our desires are few. Having few desires and not seeking fulfillment through the pursuit of the five desires are great steps towards liberation. 3. Knowing how to feel satisfied with few possessions destroys desire and greed. This means being content with material conditions that allow us to be healthy and strong enough to practice the Way. This is an effective way to cut through the net of passions and desires, attain a peaceful state of body and mind, have more time to help others, and be free to realize the highest goal–the development of concentration and understanding to attain realization. Knowing how to feel satisfied with few possessions helps us avoid buying unnecessarily and becoming part of an economic system that exploits others, and it enables us to decrease our involvement in the pollution of our environment. 4. Diligent practice destroys laziness. After we cease looking for joy in desires and passions and know how to feel satisfied with few possessions, we must not be lazy, letting days and months slip by neglectfully. Great patience and diligence are needed day and night to continually develop our concentration and understanding–the endeavor of self-realization. We must use all of our time to meditate on the four truths of impermanence, suffering, selflessness, and impurity, the first four subjects of meditation. We must penetrate deeply into the profound meaning of The Four Foundations of Mindfulness, 10 practicing, studying, and meditating on the postures and cycles (becoming, maturing, transformation, and destruction) of our bodies, as well as our feelings, sensations, mental formations, and consciousness. We should read sutras and other writings, which explain meditation–correct sitting and controlling the breath, such as The Satipatthána Sutta and The Maha Prajna Paramita Heart Sutra. We have to follow the teachings of these sutras and practice them in an intelligent way, choosing the methods which best apply to our own situation. As necessary, we can modify the methods suggested in order to accommodate our own needs. Our energy must also be regulated until all the basic desires and passions–greed, anger, narrow-mindedness, arrogance, doubt, and preconceived ideas–are uprooted. At this time we will know that our bodies and minds are liberated from the imprisonment of birth and death, the five skandhas, and the three worlds. 5. Concentration and understanding destroy narrow-mindedness. Among the basic desires and passions, narrow-mindedness has the deepest roots. When these roots are loosened, all other desires and passions–greed, anger, doubt, and preconceived ideas–are also uprooted. Knowing this, we can make a great effort to meditate on the truths of impermanence, no self, and the dependent origination of all things. Once the roots of ignorance are severed, we can not only liberate ourselves, but also teach others to break through the imprisonment of birth and death. The first four subjects of meditation are to help us attain liberation. 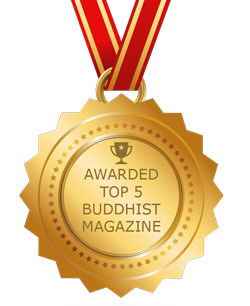 The next four subjects have the aim of helping others attain liberation, thus clearly and solidly uniting Theravada and Mahayana Buddhist thought. 6. When practicing generosity, we should consider everyone equal. Some people think that they can only practice generosity if they are wealthy. This is not true. Some people who are very wealthy do practice generosity, but many give alms with the aim of gaining merit, profiting, or pleasing others. People whose lives are grounded in compassion are seldom rich, because they share whatever they have with others. They are not willing to enrich their lives financially at the cost of others’ poverty. Many people misunderstand the Buddhist expression “practicing generosity” to mean when casually giving five or ten cents to a beggar on the street. In fact, the practice of generosity is even more beautiful than that. It is both modest and grand. Practicing generosity means to act in a way that will help equalize the difference between the wealthy and the impoverished. Whatever we do to ease human suffering and create social justice can be considered practicing generosity. This is not to say that we must become active in any political system. To engage in partisan political action that leads to a power struggle among opposing parties and causes death and destruction is not what we mean by practicing generosity. Practicing generosity is the first of the six paramitas.11 Paramita means to help others reach the other shore, the shore of liberation from sickness, poverty, hunger, ignorance, desires and passions, and birth and death. How can a person practicing “knowing how to feel satisfied with few possessions” also practice generosity? It is by living simply. Almost everyone who spends his or her life serving and helping others, sacrificing himself or herself for the sake of humanity, lives simply. 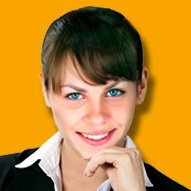 If they live their lives worrying about making money and gaining merit, how can they practice generosity? Mahatma Gandhi lived a very simple life; nevertheless his merit helping humanity and saving human beings was immeasurable. There are thousands of people among us who live very simply, while being very helpful to many, many others. They do not have as large a reputation as Gandhi, but their merit is no less than his. It is enough for us just to be a little more attentive and aware of the presence of people like these. They do not practice generosity by giving money, which they do not possess, but rather by giving their time, energy, love, and care–their entire lives. Practicing generosity in a Buddhist context means not to discriminate against anyone. Even though among the poor and destitute there are cruel persons and kind persons, we must not exclude the cruel ones from our practice. Because poverty brings anger and hatred, poor people are more inclined to create evil. As the sutra states, “Bodhisattvas consider everyone, friends and enemies alike, as equal. They do not condemn anyone’s past wrongdoings, nor do they hate even those who are presently doing evil” This expresses the spirit of Mahayana Buddhism. Poverty creates anger, hatred, and wrongdoings. If we teach Buddhist philosophy through lectures, but do not practice generosity to ease the suffering of others, we have not yet attained the essence of Buddhism. We should practice generosity with compassion and not disdain, without discriminating against people who, because of their poverty, have caused anger and hatred. 7. While living in society, we should not be defiled by it. We must live in harmony with society in order to help others, without being caught by the five desires, living like the lotus flower, which blooms in the mud and yet remains pure and unstained. Practicing the way of liberation does not mean avoiding society, but helping in it. Before our capacity to help becomes strong and solid, we may be defiled by living in society. For this reason, Bodhisattvas meditate on the detrimental nature of the five desires and firmly decide to live simply in order to practice generosity without discrimination. Thus, living in society and not being stained by it is to practice the six paramitas. 8. We should create in ourselves the firm decision to help others. We must make a deep and solemn vow to overcome the difficulties, dangers, and suffering that may occur while helping others. Since the suffering in society is limitless, the willingness and devotion to practice the way of helping others must also be limitless. Thus, the Mahayana spirit is an endless source of energy, which inspires us to practice generosity without discrimination. 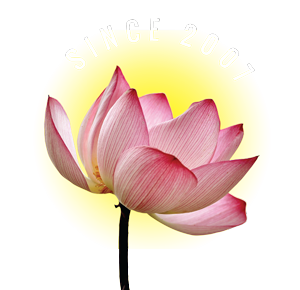 With the Mahayana spirit, we can withstand the many challenges and humiliations encountered in society and be able to continue to practice the Way. 1. While meditating on the body, do not hope or pray to be exempt from sickness. Without sickness, desires and passions can easily arise. 2. While acting in society, do not hope or pray not to have any difficulties. Without difficulties, arrogance can easily arise. 3. While meditating on the mind, do not hope or pray not to encounter hindrances. Without hindrances, present knowledge will not be challenged or broadened. 4. While working, do not hope or pray not to encounter obstacles. Without obstacles, the vow to help others will deepen. 5. While developing a plan, do not hope or pray to achieve success easily. With easy success, arrogance can easily arise. 6. While interacting with others, do not hope or pray to gain personal profit. With the hope for personal gain, the spiritual nature of the encounter is diminished. 7. While speaking with others, do not hope or pray not to be disagreed with. Without disagreement, self-righteousness can flourish. 8. While helping others, do not hope or pray to be paid. With the hope of remuneration, the act of helping others will not be pure. 9. If you see personal profit in an action, do not participate in it. Even minimal participation will stir up desires and passions. 10. When wrongly accused, do not attempt to exonerate yourself. Attempting to defend yourself will create needless anger and animosity. 11. The Buddha spoke of sickness and suffering as effective medicines; times of difficulties and accidents as times of freedom and realization; obstacles as liberation; the army of evil as the guards of the Dharma; difficulties as required for success; the person who mistreats one as one’s good friend; one’s enemies as an orchard or garden; the act of doing someone a favor as base as the act of casting away a pair of old shoes; the abandonment of material possessions as wealth; and being wrongly accused as the source of strength to work for justice. The style, content, and methodology of The Sutra on The Eight Realizations are consistent and logical. It is a very practical and concise sutra. But this discussion of the content is only intended to serve as a preliminary guideline. To fully benefit from this sutra, we must also practice and observe its teachings. To practice and observe The Sutra on the Eight Realizations of the Great Beings, choose a time when your body and mind are completely relaxed, for example after taking a comfortable bath. You can begin by lighting a stick of incense to give the room a pleasant fragrance. Then, take the Sutra and slowly read it to discover its deepest meanings. Relate the words of the sutra to your own life experiences. It is through your own life experiences that you can understand any Sutra’s content and not through someone else’s explanation of it. Each time you sit in meditation, thoroughly examine each subject of the Sutra. The more you meditate on each subject, the more deeply you will discover the profound wisdom contained in the Sutra. It would be helpful for you to also read other sutras, such as The Anapanasati Sutta of Mindfulness on Breathing and The Satipatthána Sutta. Both are profound and concise works, which will complement The Sutra on the Eight Realizations. These two sutras explain in practical detail how to progress step-by-step towards realization. If you combine the method of following and relaxing your breathing, as described in these two sutras, with meditation on the eleven subjects described in The Sutra on the Eight Realizations; you will easily succeed in achieving your aim of realizing your own self-nature. Wholeheartedly, day and night, a disciple of the Buddha should recite and meditate on the eight realizations discovered by the mahasattvas, the great beings. THE FIRST REALIZATION is the awareness that the world is impermanent. All political regimes are subject to fall; all things composed of the four elements (1) are empty and contain the seeds of suffering. 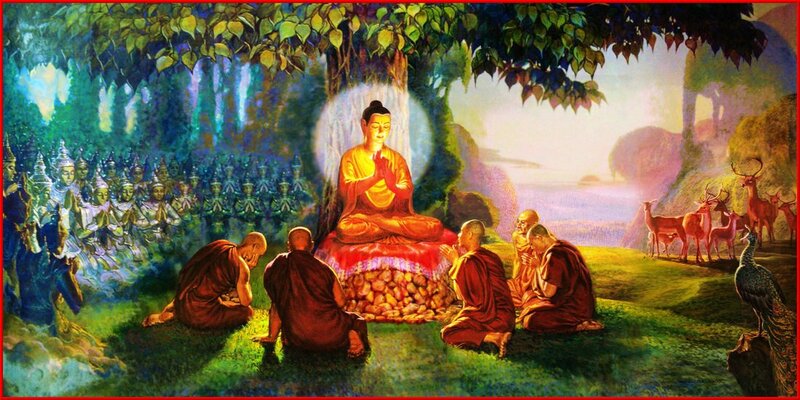 Human beings are composed of five skandhas, aggregates, (2) and are without a separate self. They are always in the process of change–constantly being born and constantly dying. They are empty of self, without sovereignty. The mind is the source of all confusion, and the body is the forest of all impure actions. If we meditate on these facts, we can gradually be released from samsara, the round of birth and death. THE SECOND REALIZATION is the awareness that more desire brings more suffering. All hardships in daily life arise from greed and desire. Those with little desire and ambition can relax, their bodies and minds free from entanglement. THE THIRD REALIZATION is that the human mind is always searching for possessions and never feels fulfilled. This causes impure actions to ever increase. Bodhisattvas however, always remember the principle of having few desires. They live a simple life in peace in order to practice the Way, and consider the realization of perfect understanding as their only career. THE FIFTH REALIZATION is the awareness that ignorance is the cause of the endless round of birth and death. Therefore, bodhisattvas always remember to listen and learn in order to develop their understanding and eloquence. This enables them to educate living beings and bring them to the realm of great joy. THE SIXTH REALIZATION is the awareness that poverty creates more hatred and anger, which in turn creates more evil. When practicing generosity, bodhisattvas consider everyone, friends, and enemies alike, as equal. They do not condemn anyone’s past wrongdoings, nor do they hate even those who are presently doing evil. THE SEVENTH REALIZATION is that the five categories of desire all lead to difficulties. Although we are in the world, we should try not to be caught up in worldly matters. A monk, for example, has in his possession only three robes and one bowl. He lives simply in order to practice the Way. His precepts keep him above attachment to worldly things, and he treats everyone equally and with compassion. THE EIGHTH REALIZATION is the awareness that the fire of birth and death is raging, causing endless suffering everywhere. We should take the Great Vow to help everyone, to suffer along with everyone, and to help all beings arrive at the realm of great joy. These eight realizations are the discoveries of great beings, Buddhas and Bodhisattvas who have diligently practiced the way of compassion and understanding. They have sailed the Dharmakaya (6) boat to the shore of nirvana, (7) But then they return to the ordinary world, having abandoned the five desires, with their minds and hearts directed toward the noble way, using these eight realizations to help all beings recognize the suffering in this world. If the disciples of the Buddha recite these eight realizations and meditate on them, they will put an end to countless misunderstandings and difficulties moment after moment and progress toward enlightenment, leaving behind the world of birth and death, dwelling forever in peace.